Posted on April 13, 2017 by Oakville Galleries. 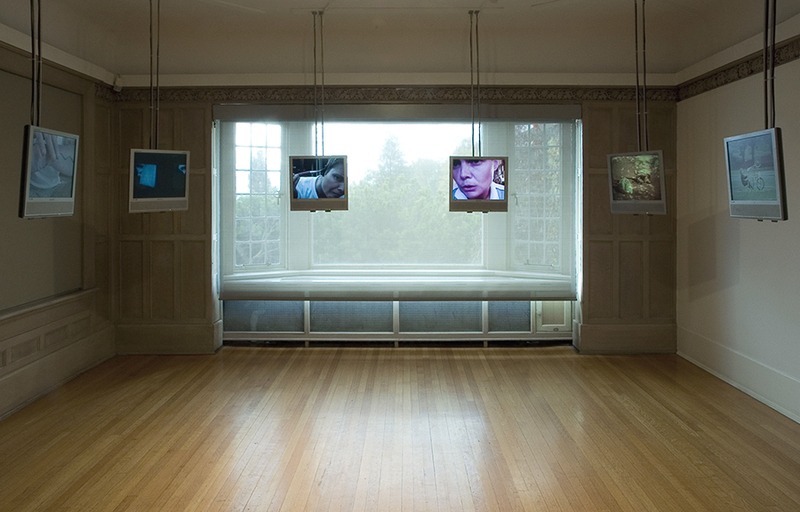 On the occasion of Images Festival’s Canadian Artist Spotlight on Deirdre Logue, we’re throwing back to Deirdre’s 2008 show Beyond Her Usual Limits here in Gairloch Gardens. As part of the Spotlight festivities, we’re gearing up to release a new monograph on Deirdre’s work, co-published with Open Space Victoria, A Space Gallery, Gallery 44 and Images Festival. Join us at The Commons at 401 Richmond on Saturday, April 22nd from 3:00 pm to 5:00 pm to celebrate the launch of Beyond Her Usual Limits: The Film and Video Works of Deirdre Logue, 1997 to 2017. Photo: Cheryl O’Brien.